MANILA, Philippines – ABS-CBN News’ Umagang Kay Ganda came under fire after their exclusive video of a fatal street fight between two men in Panay Avenue in Quezon City on Saturday, September 3 circulated on social media. In the video, victim James Chua was repeatedly stabbed by suspect Melchor Espanola and later on died on the spot. Espanola attempted to escape the scene by foot but was later on arrested by some cops with the help of several bystanders who witnessed the crime. Espanola, who is now facing murder and frustrated homicide charges, said he was avenging himself against Chua and a certain Ruel Piso, who reportedly mauled him in a previous incident. It was revealed that Piso was also attacked by Espanola and is currently in the hospital after sustaining fatal injuries. A certain Raven Hagorn, who claimed to be the cousin of Chua, lambasted the crew of the news network for just filming the incident and failing to intervene and take action to save the victim’s life. Netizens were quick to give their opinion on the issue. While some reasoned out that the crew didn’t intervene in order to protect their lives, other netizens lamented that the crew could have called the police or the government’s emergency hotline to help save Chua. 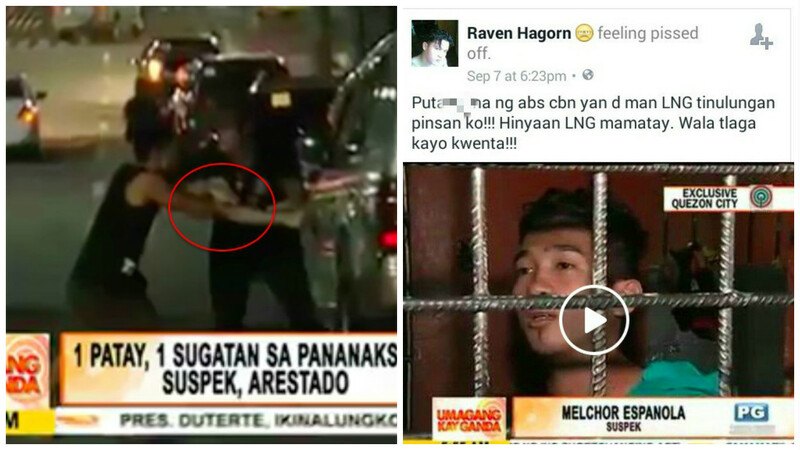 ABS-CBN News is yet to make a statement about the issue.